Dukes Family Vineyards artisanal wines are hand-crafted in the Carlton Winemaker’s Studio, one of the nation’s first “green” LEED certified, gravity-driven, cooperative winemaking facilities. The wines are food friendly, elegant rather than over stated. A minimalist approach to winemaking is utilized allowing a true reflection of the unique terroir and complexity characteristics of the Eola-Amity Hills AVA vineyard to be fully expressed. 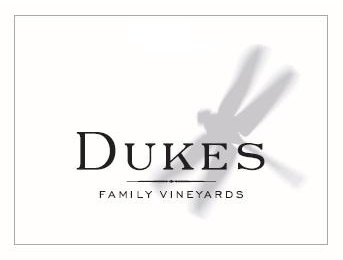 Dukes Family Vineyards is the realization of a dream; a passion growing out of a love of great food and exceptional wine. As conservators of the land, there is a committed to low-impact, ecologically sound sustainability in the farming methodologies and to the continual improvement of the vineyard environment. The vineyards of Dukes Family Vineyards are Sustainable and Salmon Safe certified by LIVE.